I am always freaky about which products I buy to round out my pantry. And because of this, I have relied heavily on Ideal Sweetener now for about two years for every dessert I’ve made, loving the flavor and how every product made with the sugar substitute tasted every time (it’s really like sugar). As well, I take very seriously the ability to create recipes you can replicate at home; so if a product isn’t available, how can you buy it? So what happens when the product suddenly disappears from stores, the prices more than doubles on amazon.com, and the company doesn’t return your email? I take things into my own hands. Availability (or lack thereof) aside, let’s consider cost. Ideal costs $1.21 per ounce. That’s a cost savings of $3.28 per pound! Believe me, that adds up quickly. Tip: Worried about your dog eating xylitol? Swap in erythritol instead. I also admit that I am so over putting my faith and hopes in store-bought products, only to have them disappear from the shelves forever and leaving me at square one. I’ve decided that to simplify, I’m putting together a stable of ingredients that I can make myself and have on hand at all times without panicking about placing yet another order for products. I have things to do, darn it. I don’t have time to cry over products. Tip: Xylitol carbs are negligible, so calculate only the carbohydrates from Splenda. Looking for my hack for the Ideal Brown Sugar Sweetener? Simply click here for the Brown Sugar Baking Blend recipe and use the finished recipe (below) in place of Ideal. Process in a blender or a food processor to create a slightly more powdery product and to combine ingredients thoroughly. Store in a sealed bag or container. Measures cup per cup like Ideal sweetener and sugar. *I used Fitday.com which calculates a cup of Splenda at 21 carbs. Hi, I was wondering if anyone has any thoughts to folks who get severe migraines when using ANY artificial sweeteners. I have tried all of them and end up in a pile on the floor after ingesting them. I have changed to a low carb diet and really have enjoyed it and have lost weight but I do miss desserts. Thanks for sharing in your brilliance! And to think of all the shipping I payed for Ideal because they don’t sell it here… well NO MORE! 😀 Thank you! I was so so frustrated seeing that product disappear from store shelves and then show up on Amazon for about double the price. My heart did the sad-sad dance, and then I went to the store, bought some Splenda and went to work. I just bought a new bag of the brown, but it was the same price. I’ll check for another couple bags when I’m out this morning. Okay, here’s the report from Iowa. I just bought a bag of the brown sugar blend for $4.49 (about 44 cents an ounce). The shelf was fully stocked, as was the regular Ideal blend. That one is a bigger bag for the same price. There may be something regional going on with distribution, who knows. Given the rate at which I use sweetener I now have a nearly two year supply between this bag and the bag I bought last month. I’ve already filed away your recipe. always good to have options. That is a really good price, Andrea. When we had it here in stores is was $2 more per package. They must think we’re made of little pots of gold at the end of St. Patty’s Day rainbows. Jamie, does xylitol go under a brand name? My grocery resources are pretty much limited to Walmart and a couple small stores so hoping I don’t have trouble finding it. Where do you purchase the separate ingredients to produce this? 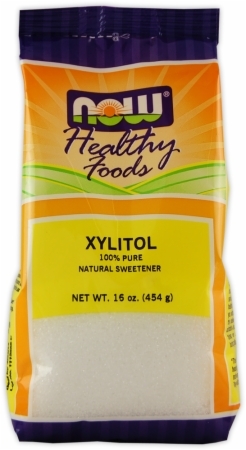 I have never seen Xylitol in Canada…I am willing to cross our international border to hunt this down! How does Xylitol come? Elaborate, please! All we have here are sweeteners that range from 22 to 25 carbs per cup of sugar equivalent! It was typically derived from birch bark, but is now commercially available, typically as a derivative of crop plants like corn. I just found a mega pack of xylitol and may have to buy it. lol http://www.iherb.com/Now-Foods-Xylitol-Natural-Sweetener-15-lbs-6-81-kg/11529?utm_source=gb&utm_medium=pf&gclid=CJm3rP7grbICFeaDQgoddAwAiw It’s only 18 pounds… Ha ha ha! Eighteen pounds! Wow! Seemingly a lifetime supply! Now what about the corn it is derived from? Here in Canada AND the U.S. Monsanto has invaded ALL corn and it has all been compromised and is all GMO! Does this affect the sweetener? Just wondering!? Or should we not worry at all? Many thanks for all your hard work in providing information, Jamie! You are a darling, a million times over! Breakfast…ham, cheese and egg sloppy omelet…with some left over for a light lunch. I am sipping green tea…my new hot beverage of choice! Dinner….chicken breast is already defrosting….I will BBQ! Yum! Plus a salad. I love seeing your menus! Wew wew! My favorite brand of Xylitol is derived from Non GMO Birch. (And it is produced & sold by a company right there near you Jamie!) I’m not sure how much it would cost to get it to Canada, nor how easy it would be for you to buy it Gladys. I buy my Erythritol from them too. May have a lifetime supply (of both) now tho, as I REALLY stocked up awhile back when it was on sale. But I do still do order in smaller quantities from them, and have sent to relatives who live in a different state, where I visit quite often. Hi Gladys. I am from B.C. and I can find large bags of Xylitol at Nature’s Fare and also at Choices Markets. I love using xylitol! In Canada you can get Xylitol or Erythritol (my favourite) or Maltitol (please don’t even consider this one) at Low Carb Grocery http://www.thelowcarbgrocery.com/ if you can’t find it anywhere else. They have an amazing range of low carb products and, if you buy $100 worth at a time, shipping is nearly as cheap as driving to the grocery store. Wow! You Really are Amazing, Jamie! Deb, I hope you try it! I really am not a huge fan of sucralose (it makes me hungry), and on its own, I think xylitol has too much bite. Together, they’re like the peanut butter cup of sweeteners–and I don’t get hungry. I love your sweetener blend!! I do have to order the erythritol online so I make sure I have plenty. I also have the powdered erythritol and Xylitol but not quite sure how or where to use them. Thanks again for this recipe and all your others. Carol, you could use the powdered xylitol in this mixture. If it is powdered, it’s got more air pockets, and you want to measure out slightly more than a cup (think about 1-3/4 cups packed). Donna, I’m feeling relatively good that we won’t see the disappearance of any of those three sweeteners. In fat, with this invention, we may keep them in the big business for years! Are you crazy? Splenda is poison. I’m not crazy, no (though sometimes my kids make me think I’m headed in that direction). Many many millions of people use Splenda, and Ideal contains Splenda. I look at it this way; at least it’s only half-Splenda. Everyone has to use the sweetener that works for them. Many are allergic to stevia and can’t afford the insulin issues from maple syrup or honey. I had to quit the artificial sweeteners because of recurring nasty bladder infections (was it the Splenda or the Aspartame? or both?) and then found out last Christmas that any quantity of sugar causes head-to-toe itching! For days! So I had to go sweetener free. With enough incentive, one can give up all of the sweeteners. I guess since I ate so much sugar earlier in my life, I have hit my quota! Enjoy it while you can. Colleen, I’m not a huge sweets girl, but I know so many are at different parts of their journeys.I am so sorry that happened to you. How awful. I don’t know why, but I never got the sweet tooth, even though I love to bake goodies! 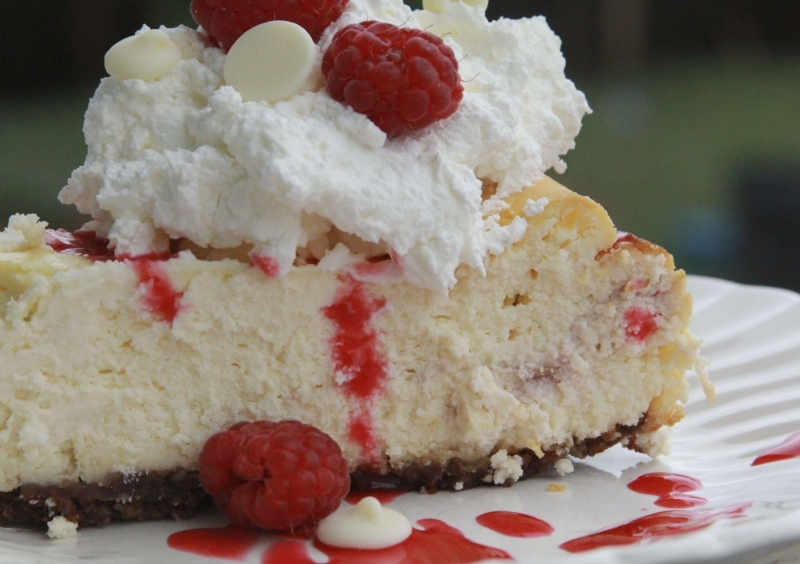 Thanks for your generosity in sharing so many wonderful recipes. What a money saver! Thanks for your kind words. I’m glad I can help! I can’t use Splenda as I have bad reactions to it. What could I sub for it? I have erythritol – would that work 1/2 and 1/2 with xylitol? Hi, Sharlene! Actually, for an erythritol/xyltiol mix, my ‘tried and true’ is 2 parts xylitol to one part erythritol. So, say 1 cup xylitol to 1/2 cup erythritol. Thank you thank you thank you!!! Ideal was discontinued at my local Frys and I bought the last of what they had. I was wondering what I was going to do when I run out eventually!!!! Crisis averted. Thanks again for being you and being amazing! Elise, I was having the same crisis! I am glad that now we can resume being fabulous. wow Jamie… get this…. a few weeks back.. my Kroger’s put on clearence there xylitol/splenda mix.. i got 3 boxes for 1.59 a box of 100 little packs ..I took them home and tasted them…liked them… went back the next day… and got 15 more boxes….so i am set for a while… on that.. but I will make this so I can bake/cook with it………..
sjwnana! You scored a major deal on those packets! Are those essentially the same as the typical powder, just in smaller, portable form? Love your recipes- and your spirit! Keep it up, GF! Thank you so much, Margaret! I appreciate your support. 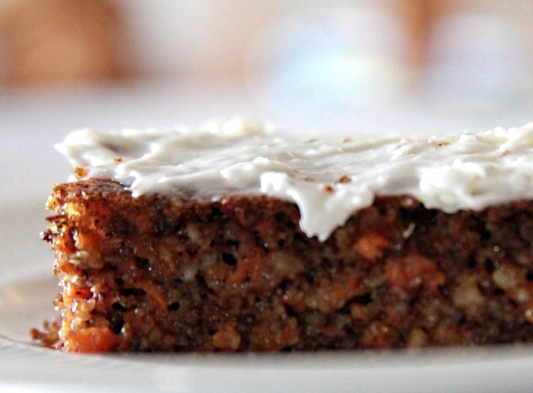 love all the recipes…they’ve fooled my kids into eating veggies a few times! i like using ezsweet, liquid splenda, any ideas on making that? maybe this recipe plus water?? Hi, Kelly! The thing about the liquid sweeteners is that they’re in a more pure form due to not using the bulking agents like the powdered does. I’m not sure how one would get hold of the high-powered pure sucralose. My guess is it’s only available to industry people? This made me remember why every time I found & looked at Ideal, I put it back. Granular Splenda!!! Sorry, for personal reasons I won’t be using this one. Nothing against “your” recipe, but again the maltodextrin. But thanks for the experimenting, and sharing!!! I try to stay away from maltodextrin. Don’t completely succeed, but I don’t use Granular Splenda, at least at home. I do use it when visiting, and that’s the sweetener they have. Won’t refuse someone’s food because they used it. NO Kelly, this recipe plus water will definitely NOT make a comparable ezsweetz!!! As Jamie said, ezsweetz is made from a VERY very concentrated form of pure sucralose. NO fillers!!!! OH, and BTW you can buy pure powered sucralose online! I have bought it. Currently have some. I think there are several sources. Not sure if the source I bought it from carries it now. You’d have to do a search online. But can’t use it in this recipe because of the lack of bulking agents. Nope, I totally get it. A lot of folks are either averse to Splenda or have an aversion towards it. On its own it makes me really hungry. Mixed with xylitol, I don’t have that problem. It’s a good hybrid sweetener for a lot of people. That is really good information about the powdered sucralose sans maltodextrin. I love it! I find hundreds of low carb products on Netrition.com. They have Ideal Sweetener. True, but why spend more when you can make your own product right away? If you are already placing that order, then I get it; but I’m trying to help people shop locally, too. We shouldn’t have to rely on online vendors. Ideal is a combination of Splenda and xylitol, so technically, it wouldn’t be a replacement for the sweetener if I used anything else. It might be confusing because it could be assumed that the word “Ideal” in the title was a value statement on my part, making it an ‘Ideal’ option. On the contrary, I personally support everyone using the sweeteners which work best for them, whether it is honey, coconut sugar, xylitol, erythritol, stevia or sucralose (or a combination of them). Thank you so much for bringing up a salient point regarding the many options of sweeteners. I happen to love IDEAL as well, but not many people use in their recipies. I have found some recipies I want to try online that involve stevia or honey…being that u use do u know how to substitute IDEAL for honey and or stevia in recipies…. where can I buy xylitol, in bulk, the cheapest? Hi, Maggie! I typically find mine at amazon.com. Check them out against Amazon. I bought a big supply of both Xylitol & Erythritol from them (different times), and won’t have to order again for sometime! Fist I bought a HUGE bag of Xylitol, but later realized I should just have bought the 5 (or 10) pound bags, which is what I did with the Erythritol. You can sign up with them to get email notices of their sales. Last sale seems to have been in April, so maybe there will be another soon. MAYBE. Splenda is a chemical, trivia/stevia would the best to use as it is a natural leaf sweetener. I’m not a Splenda fan. Can I use stevia instead? Same measurements?